It was known as "Canada's Playground" and "Buffalo's Coney Island." And generations of families from Western New York and Southern Ontario have intense memories of riding the Comet. 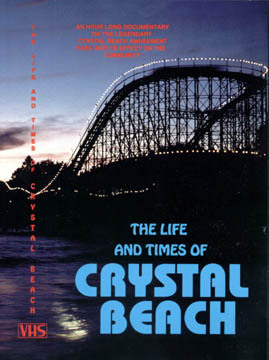 Viewers experience the sights and sounds of Crystal Beach, learning about its origins as a religious campground, through the war years, and its evolution as an entertainment oasis. You'll see how the town of Crystal Beach saw its fate tied to the fortunes of its main attraction. And then see it through all the way to the end, in 1989. Witness actual footage of its demolition, including a sad sight when the famous ballroom crumbles into a heap of twisted steel and concrete. Above all, watching this one-of-a-kind video will guarantee you one thing: You'll cherish your memories of Crystal Beach.